The day begins with hot savoury pies and sausage rolls from the bakery in Pemberton, we leave the car in town and cycle side by side down a quiet street towards the Pemberton Pool. 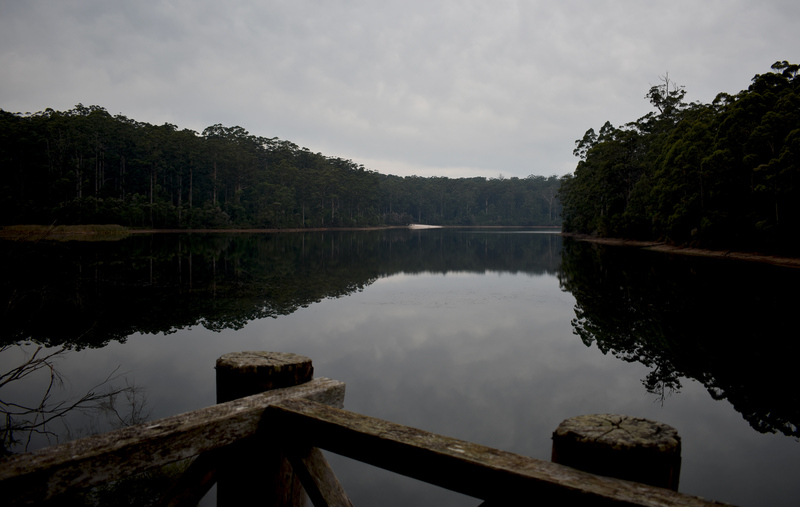 We could easily spend the day admiring the dark still fresh water edged by a magnificent pocket of Karri forest. 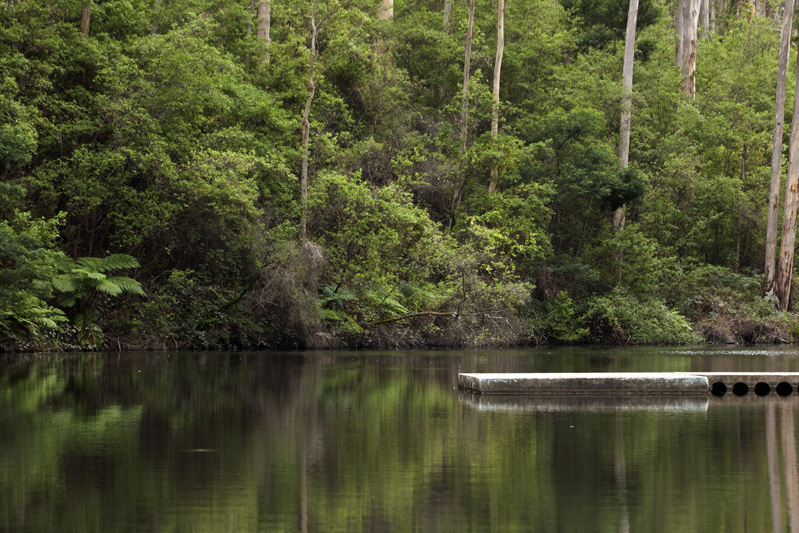 Pemberton Pool is a lovely picnic spot. Sounds of laughter echo from the mountain bike park trails behind the back of the pool. 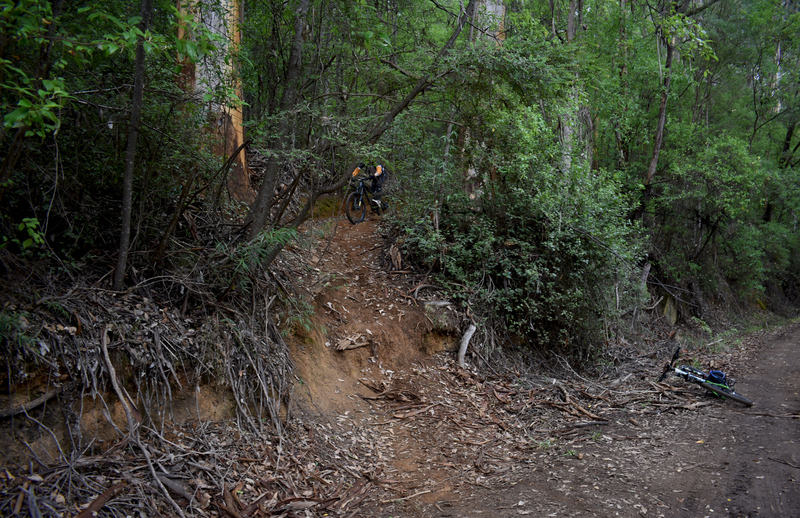 Seriously, Pemberton is always great fun with our bikes. 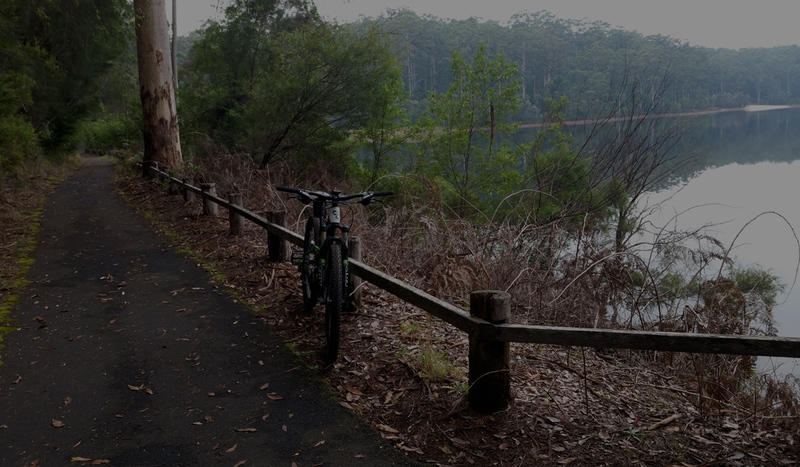 Before hitting the park trails we decide to venture further into the forest and cycle to Big Brook Dam, the ride is approximately a 22 km return trip on trails, so a mountain bike is required, except on the path that loops the dam which is suitable for any bicycle. 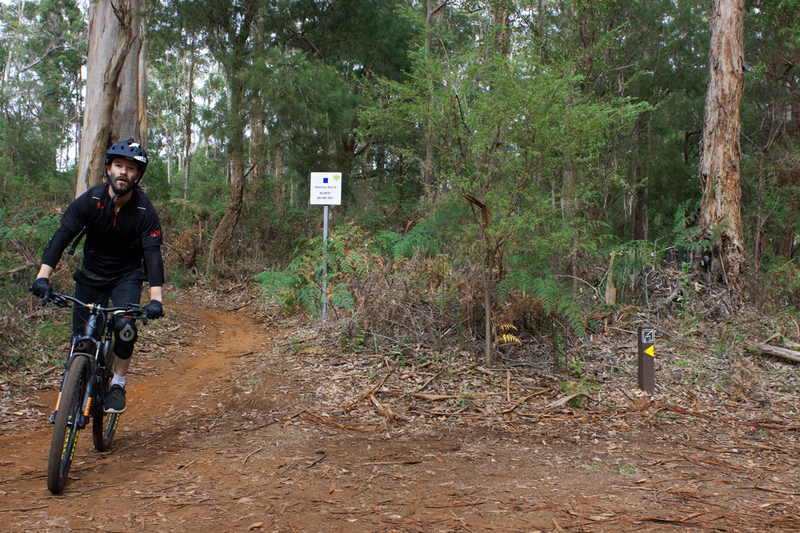 We ride towards Forest Fresh Marron where we exit left and over the bridge, block C of the mountain bike park trails are located on this side as well, we take a track right, also known as the Rainbow Trail, though we don’t find any reference to the name on the trail. 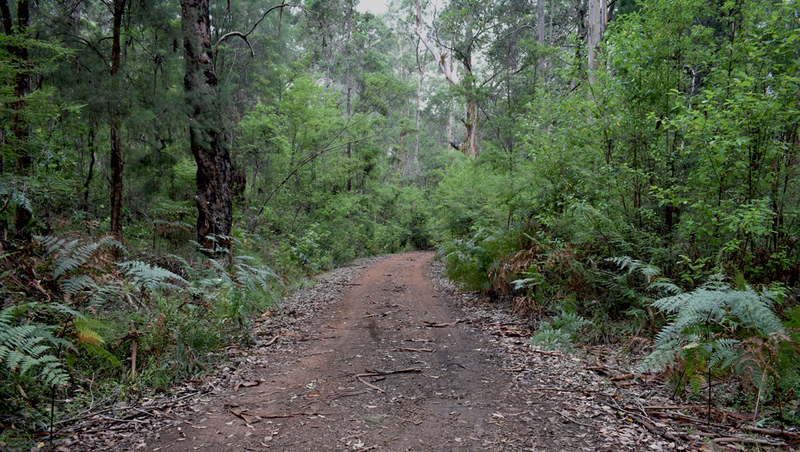 I think it is the ‘old’ Rainbow Trail and a section of the Bibbulmun Track now. The ride passes under tall forest towards Big Brook State Forest where the man made dam is located. This area is different from forest and bush land in Perth. The Karri tree species found here can be one of the tallest hardwood trees in the world and collectively they create a canopy that shields all that lives below, it is a wonderful feeling to be on the ground in a Karri Forrest. If you can’t make it down to Pemberton to see a Karri Tree, there is one in Kings Park and Botanic Gardens. 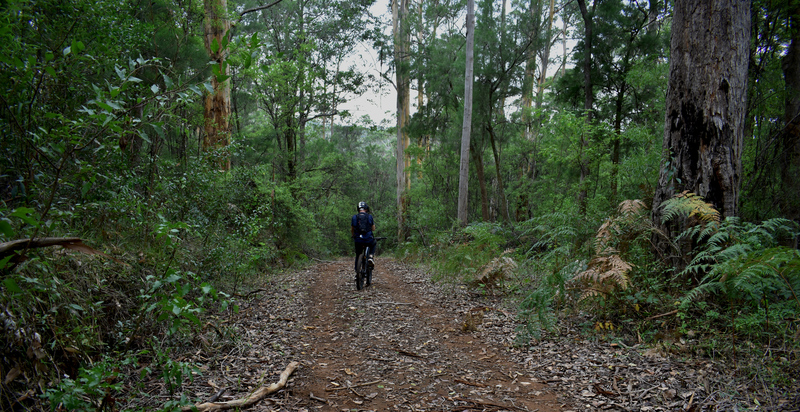 Certain sections we are riding through a tunnel of forest, the undergrowth on the side of the trail looks impenetrable. 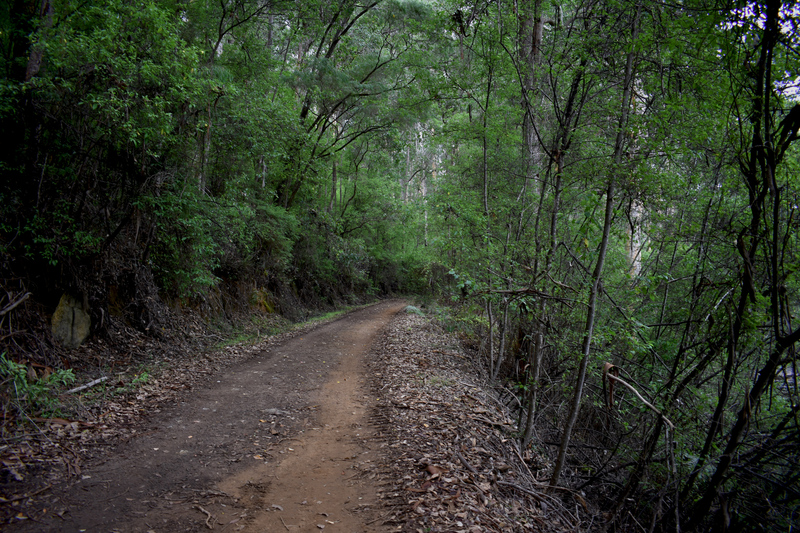 The track is not technical but we swiftly tread tree bark, sticks and roots scattered on the forest floor. There are a few gradual hills and after a bit of rain the ground is wet and hard packed which we definitely welcome on a ride. We reach Big Brook Dam and the forest halts by the water’s edge where an expansive view opens up across the dark still water. The grey and overcast day has created a haunted setting for us to look at. 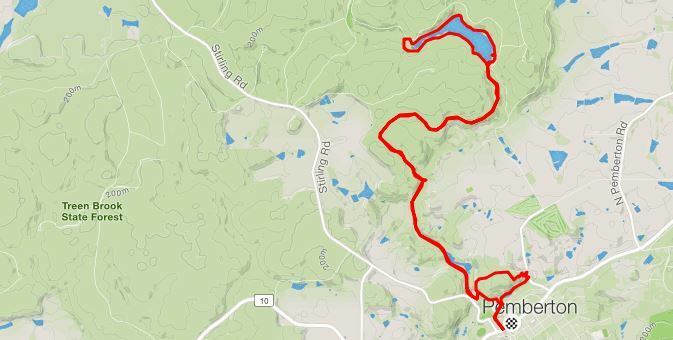 We take the 4km bitumen path looping the entire dam, stopping at a few more viewing points and a bird hut. It’s an easy flat path and incredibly picturesque. We return the same way we came and take a particularly long steep fire track road between block B & A of the Mountain Bike Park to access the descent trails. I roll down Cool Runnings and Derek takes Bloody Mary, both fast single track with quite a few obstacles all the way down to the pool. The descent is completed quicker than the climb but by now it’s time to go and find some food in town. Before the ride we had sourced a collection of information from various websites to gain an understanding of how to find Big Brook Dam on the bikes. While we did find ourselves unsure of where we were at one point on the way to the dam, we bumped into some locals who confirmed we were on the right track. This ride can be a fantastic little exploring adventure with the right bike set up and information. Pemberton Discovery Centre’s map and directions are a good starting point. 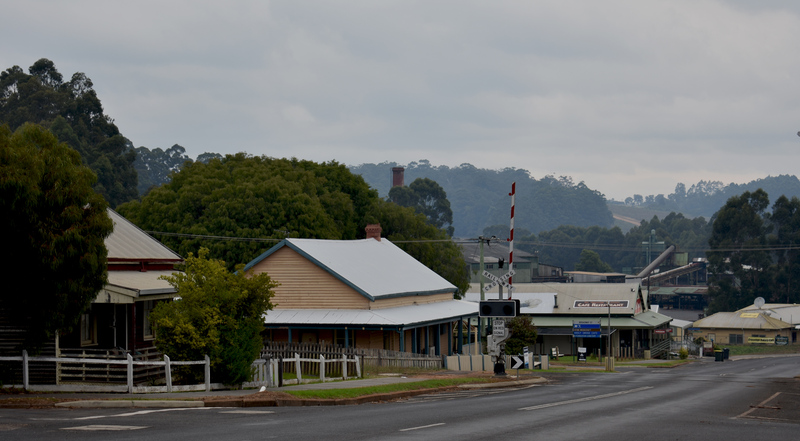 Pemberton in our humble opinion is one of the best spots in Western Australia where you can cycle from one place to another through forest and on dirt trails, this includes the most important places like the pub and town centre. I hope the dirt tracks remain because it’s a real respite from the city and lately even a few of the developing country towns. Though Pemberton was heavily into timber logging, it has maintained some of it’s natural assets which just beckon for the outdoor enthusiast. 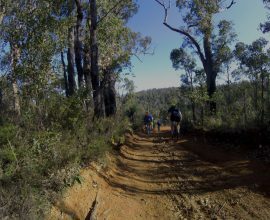 Hope you enjoy your mountain bike ride through Western Australia’s Pemberton! Have you seen our other Pemberton blog posts?